The U.S. Consumer Product Safety Commission (CPSC) is warning parents to use precautions for any incline products they use to help their infants sleep. A leading reason for the reminder is that some sleep-inclined infant products can lead to infant deaths if the child is not restrained in the product. The deaths occur because the devices roll over, spilling the child onto the ground, or injuring the child when the product falls on top of the newborn. Children who survive the fall can potentially suffer serious traumatic brain injuries or oxygen deprivation-related brain damage, as well as broken bones. Caregivers should read and follow the suggested manufacturer guidelines. An additional CPSC suggestions includes not adding blankets or pillows. (The less extras, the better.) Once the child is old enough to roll over, parents are strongly encouraged to stop using these sleepers. To learn if your bassinet, crib, or sleeper has been recalled, please check the CPSC website. The product they designed is defective. The defect was due to poor design, sub-quality workmanship, or faulty instructions or marketing. The defect caused the newborn’s death or injuries. A recall is an indicator that a product was defective. 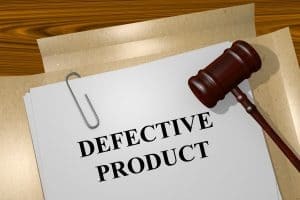 In most cases, experienced Nashville product liability lawyers will work with product safety experts and engineers who will examine the sleeper. If these professionals determine that the sleeper or the instructions contributed to your child’s injuries, they will then help you hold the makers and sellers of the product liable. At the Rocky McElhaney Law Firm, our Gladiators in Suits have the skill and resources to handle any type of accident case. We understand how to prove products are defective and why deaths or injuries resulted from those defects. Our Nashville product liability lawyers fight to get you every dollar the law allows. For help now, please call us at 615-246-5549 or fill out our contact form. Our offices are located in Nashville, Hendersonville, and Knoxville. We proudly represent clients across Tennessee.